Congratulations to Amity Middle School Bethany eighth grade students, Olivia Frankiewicz and Aidan Keylock, who were selected to receive this year’s Superintendent’s Award, sponsored by the South Central Area Superintendents’ Association (SCASA). This award is based on academic success, leadership to the school community, community service, and service to others. 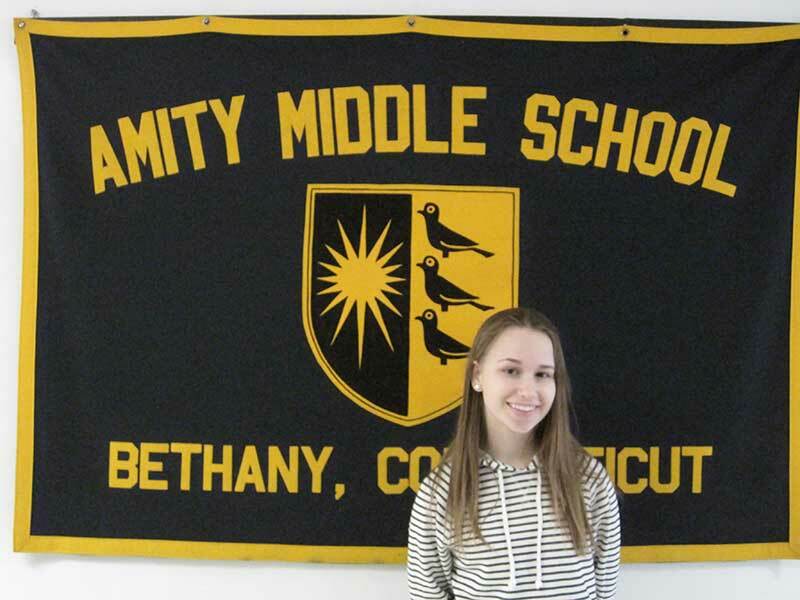 Olivia Frankiewicz, a resident of Bethany, was selected by Team Black for this award. Olivia is an eighth grade student who is diligent and conscientious in all her classes. She consistently participates positively in discussions, asks pertinent questions, and is willing to help staff and peers whenever there is a need. Olivia readily engages teachers in conversations that extend the scope of the curriculum. She is active in the school community through her participation in the Leo Club, Student Council, Debate Team, and Welcoming Committee. In her free time Olivia enjoys dancing, reading, and singing in addition to her enthusiasm for learning. Her positive attitude and friendly disposition make her a pleasure to have in class and extremely worthy of this award. Aidan Keylock is an exceptional eighth grade student on the Gold Team who lives in Woodbridge. He is highly motivated and has shown tremendous growth over the course of this year. He is an honors student and also a recipient of citizenship honors. Aidan takes a leadership role both in and out of the classroom and is highly respected by both his peers and teachers. He participates in wrestling and plays soccer for both the school and a club team. Aidan is a member of Fabulous Friends club, has served as a student tour guide on the school Welcoming Committee, and was a broadcaster on the school Newzreel. 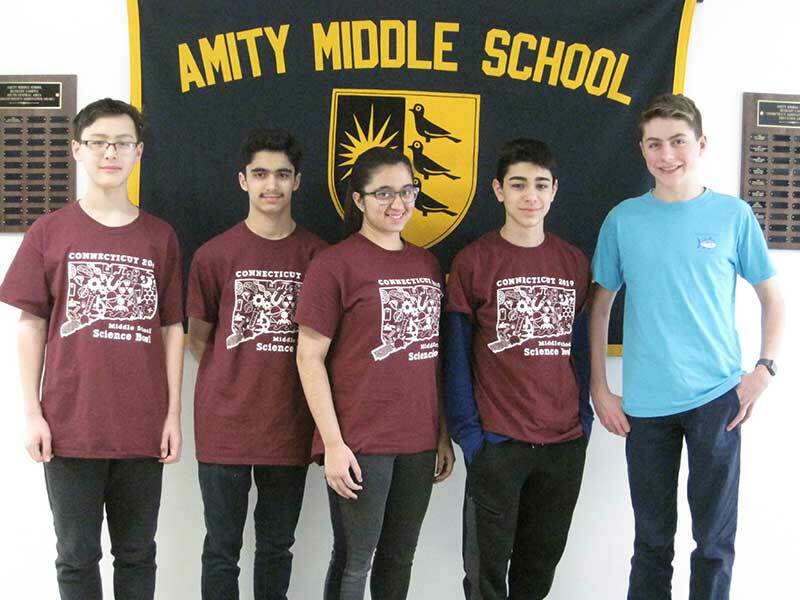 He also recently earned a Certificate of Achievement in the Connecticut History Day competition at Southern Connecticut State University. Aidan exemplifies the traits recognized by the SCASA Award and is truly deserving of this outstanding honor. 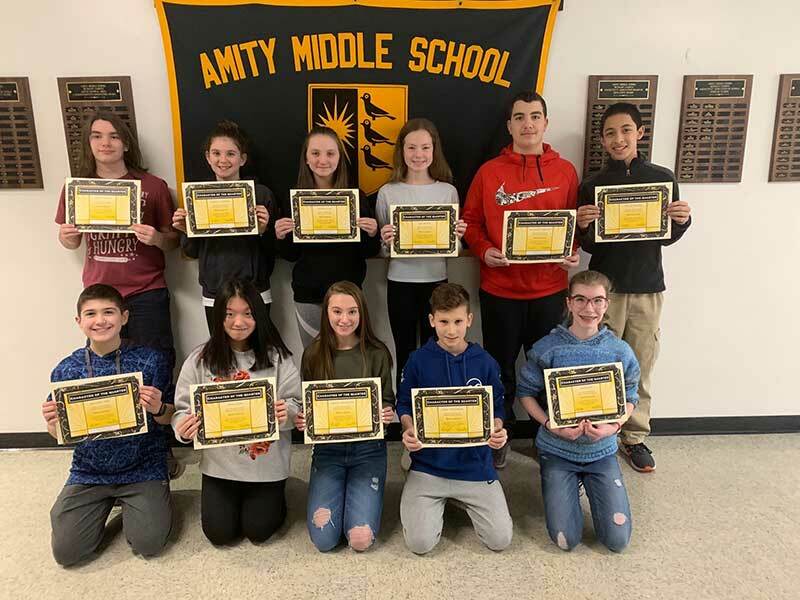 Students and their families were recognized at the Amity Region School District No. 5 Board of Education meeting on April 9th. They also attended a special luncheon ceremony at Cascade in Hamden on Friday, April 27th.